Just passing the CompTIA Certification Exams can seem like a huge and daunting obstacle. The good news is there are lots of steps you can take to make sure you’re as prepared as possible. As with any exam, preparation is the key to success. 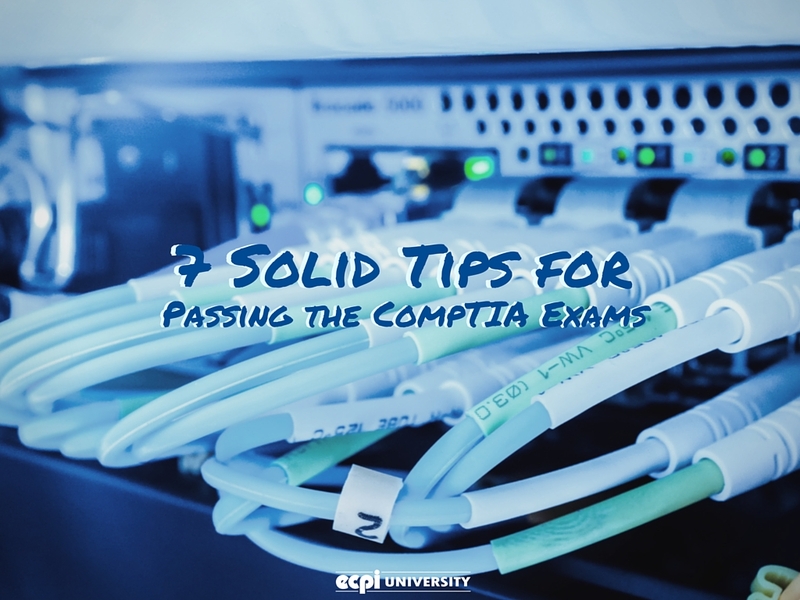 Here are some of the top tips for getting ready for the CompTIA certification exams. Read it, Read it, Read it All! Even if you’re more of a hands-on learner, it pays to read up on material that’ll be on the exam. Because text books are often prohibitively expensive, it pays to reach out to your local library to see what kind of books they have on the subject. Cruising the thrift shops is another way to find helpful material. Many people pass their books off to one of these shops once they’re done studying for their own exam. Whether studying on your own, or taking a series of classes, one of the most effective ways to commit something to memory is to write it down. Once you have a good variety of notes, comb through them carefully for the most relevant information and use it to make your own study guide. While it doesn’t make sense to go out and buy ten of the latest, greatest pieces of hardware so that you can practice your skills, you can cruise yard sales, classified ads, and thrift shops for older pieces of hardware. The older technology isn’t going to be on the exam, most likely, but if you can get an ancient hard drive networked, you’ll probably have a much better chance at figuring out what’s wrong in a newer setup. There are lots of great resources on the internet, including CompTIA practice tests. Take advantage of them! Practice tests can help familiarize you with the style of the test, as well as give you some insight as to what kinds of questions you’ll be answering on the real thing. You also have a good opportunity to better understand networking through your own in-home devices. Look at how your computers link up on your home network. Take apart an old modem and get a better understanding of connections and routing issues, or use these exercises as a refresher before taking the exams. The technology that you use every day can help give you a better practical understanding of networking and security issues and how to deal with them. Some of the questions you’ll encounter on the CompTIA Exams will be multiple choice. Even if you don’t know the right answer, you might be able to use logic and common sense to eliminate some of the incorrect answers. This will give you a better chance of picking the right answer from the remaining options. Learn how to perform specific tasks as you would to work in the field. In preparing to do the job in the real world, you’re also preparing more effectively for the exam. Be aware of the specific objectives for your CompTIA Exam. These are typically available for download online and will help you know which information to learn and which tasks you must understand more fully. Understand common terms and terminology so that you don’t trip over it during the test; this information can typically be found in various forums and study-help websites. There are videos on how to do just about anything posted online. There is a wealth of information available on the internet; it’s important to make use of it to pass your exam. Take the Next Steps toward Your CompTIA Certification! Becoming a certified networking technician can be rewarding and fulfilling. Not only can you gain the knowledge to work with computers in a networking and security capacity, you’ll also have an opportunity to hold certifications that can greatly increase your options in the workforce. If you’re interested in completing the CompTIA A+, Net+, or Security+ Program, contact ECPI University’s Professional Development Center today. It could be the next important step in your career!